It may look like a fuzzy teddy bear, but this sweet white hunk is actually a hybrid wild animal – part polar bear and part grizzly bear. It is rare and comes from the ursid hybrid breed, meaning the bear family. Shockingly, the grolar bear has been reproduced both in captivity and in the wild. Also called the prizzly, it has some fine strokes of brown fur between its thick lucisous white coat. 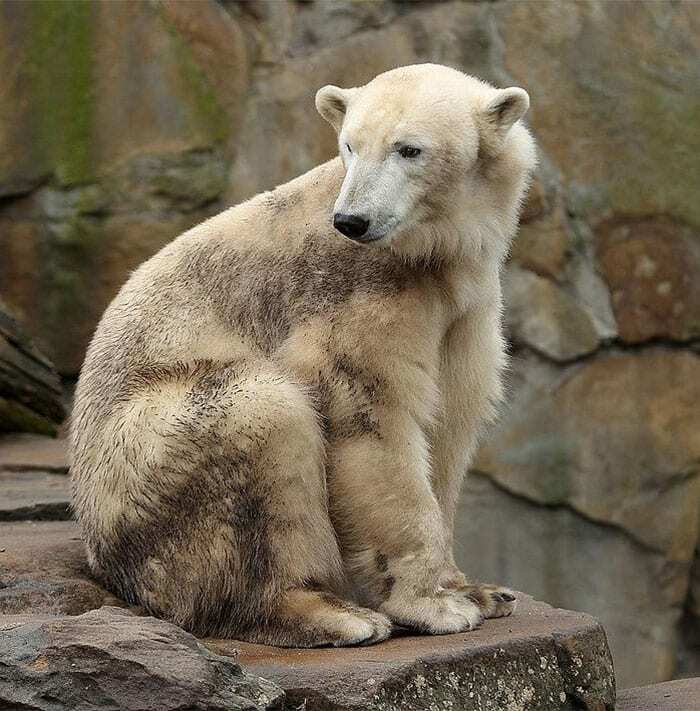 While it is still big in size, it behaves more like a polar in bear in character. Known as cattalo or a beefalo, this is a cross between a cow and a buffalo. There have been sightings as early as 1979, and they were purposefully reproduced to cater for the growing demand of beef production. 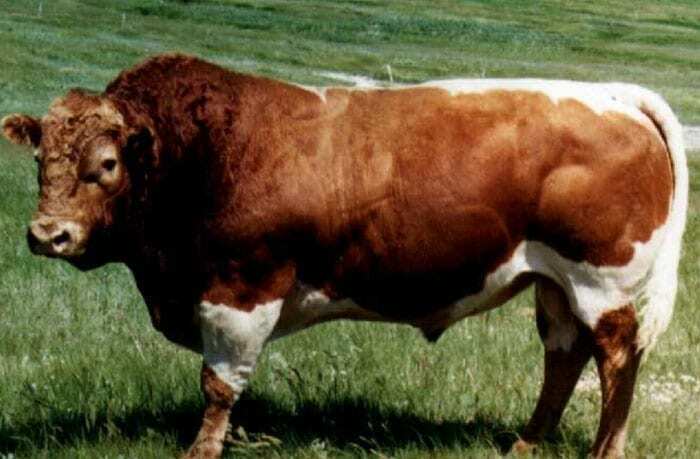 With its large structure, this hybrid can produce a lot of meaty beef. While they serve a good purpose for the food industry, they are not kind to mother nature as they have been doing damage to the ecosystem – drinking over 8 gallons of water, defecating everywhere, and destroying fields. While cats are truly majestic in their own right, this hybrid is something spectacular. It is crossed between a leopard and a lion, depicting the kind of animal that could only come from a fairytale. 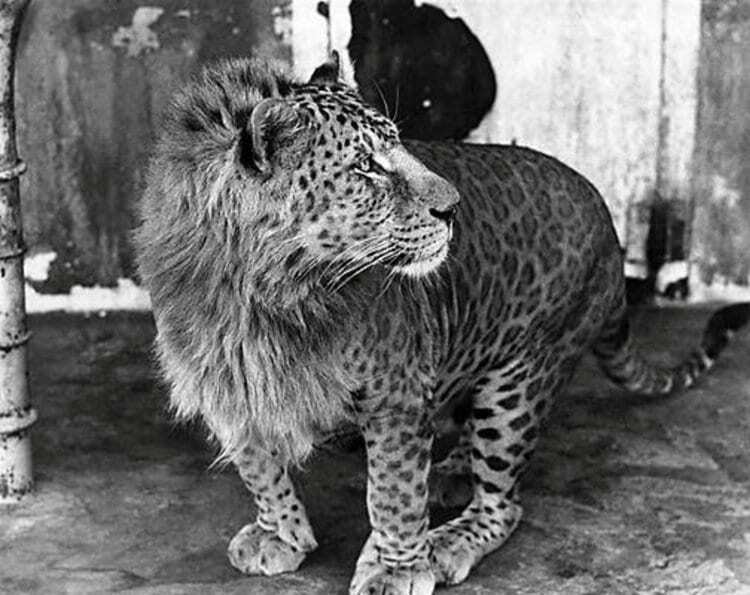 With the perfect combination of a spotted leopard and a beautiful lion’s mane, this leopon is truly a sight to look at. Scientists are still baffled because no official confirmation of their existence exists, but there have been sightings in Africa, specifically in Ethiopia and Kenya. We bet you didn’t know this, but the killer bee is actually a cross between African bees and European honey bees. These type of bees were created to survive in extreme tropical environments, such as the Amazon forest in Brazil. 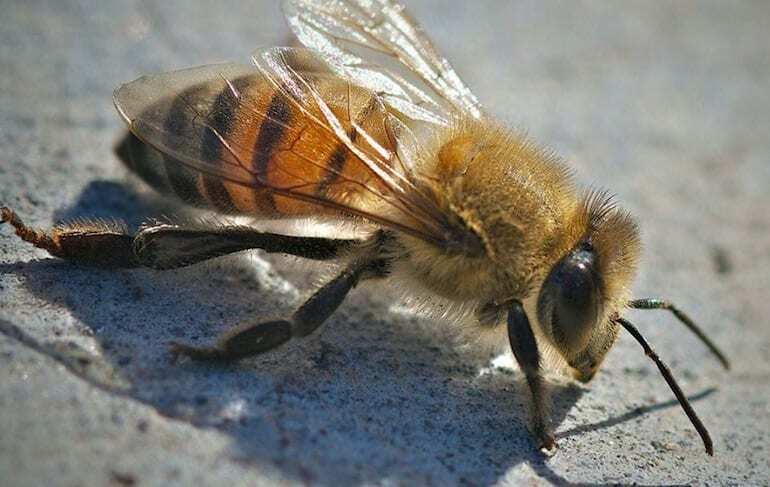 This strong strain of bees, however, quickly became adapted to hot and humid conditions and are known to be aggressive, attacking their victims in swarms, sometimes resulting in human death. So be warned, do not come close to their hives or habitat – they are, after all, called killer bees. 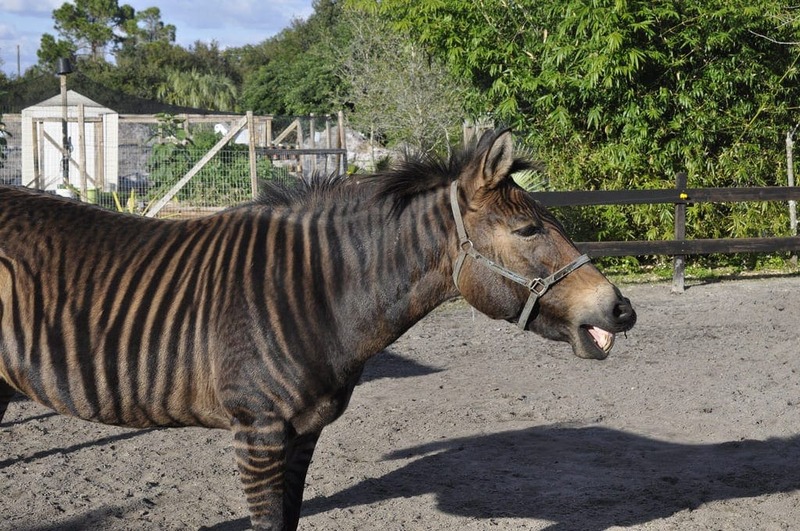 As its name implies, this lovely animal is a mix between a zebra and a horse. While it could be a little hard to distinguish it from a regular animal, upon further inspection, it is clear to see this is not your average zebra or horse. With a beautiful long mane and spotty patterns, this hybrid can either be stubborn like a zebra or extremely timid and friendly like a horse. Just as their behavior is unpredictable, so are their striped patterns – at times, they can turn out splotchy. Lions are majestic in their own way, but mix that up with a tiger and you get a tigon. This hybrid is a result of a male tiger and female lioness mating and voila, a supersonic hybrid is created that really is sight to look at. It has various hues of browns and pastels with an inherited combination of both spots and stripes from each parent. It still carries a fearless look and is most definitely not an animal to cuddle with, though it is very cute. Now what exactly occurs if the opposite happened? Mixing a male lion with a female tigress? 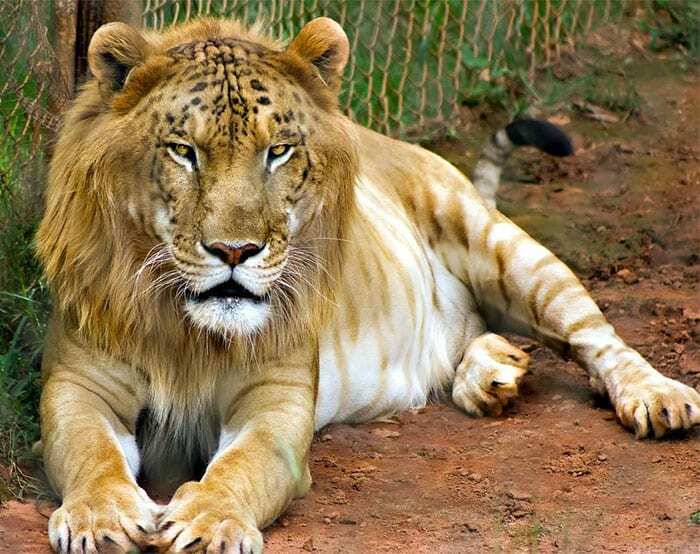 This would be called a liger and, as you can see, the results are supremely different. In fact, if you even feel a little scared, we don’t blame you. 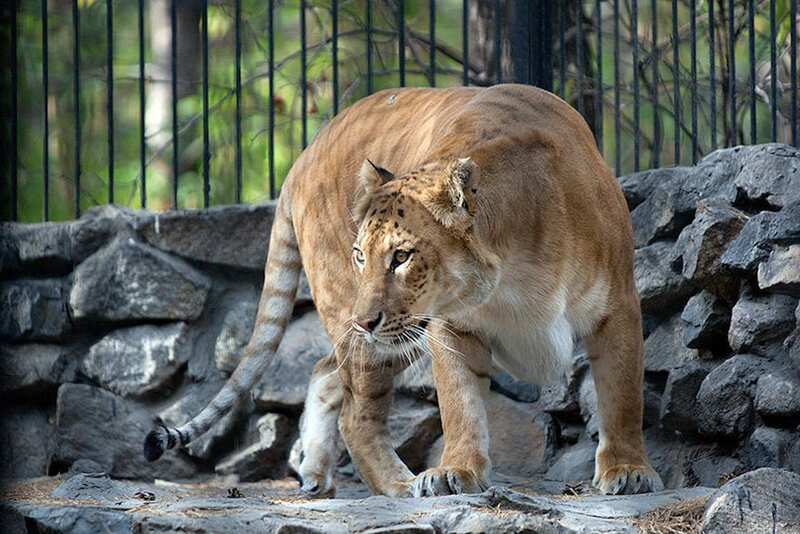 The liger is one of the biggest cats in the world, growing very large and in a short amount of time. Hercules (pictured here) is the largest cat in the world, weighing in at a whopping 410 kg (904 pounds). Wow! Entelodonts are now extinct, but were once a massive breed of pig that was vastly feared by humans. They were even given the nickname “hell pigs” as they had the tendency to kill whatever was in their way, including people. 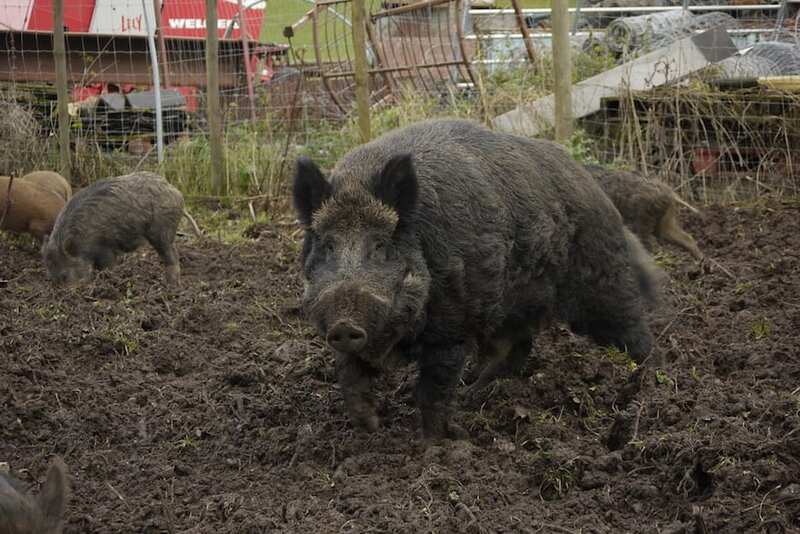 Farmers have since tried to breed something similar by crossing a domesticated pink pig with a wild boar. 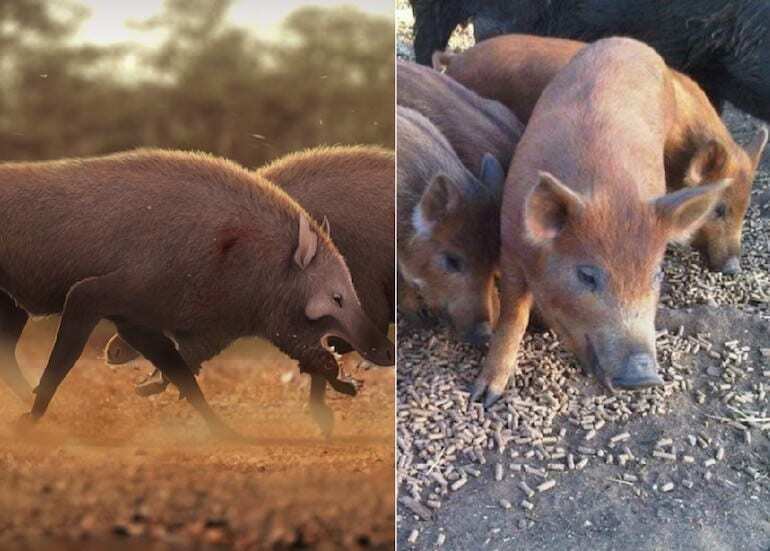 The result: something quite similar to the ancient pigs, but way smaller in size. The only distinct behavioral feature they both have is their angry and stubborn nature. Is it a sheep? Is it a goat? It’s both! 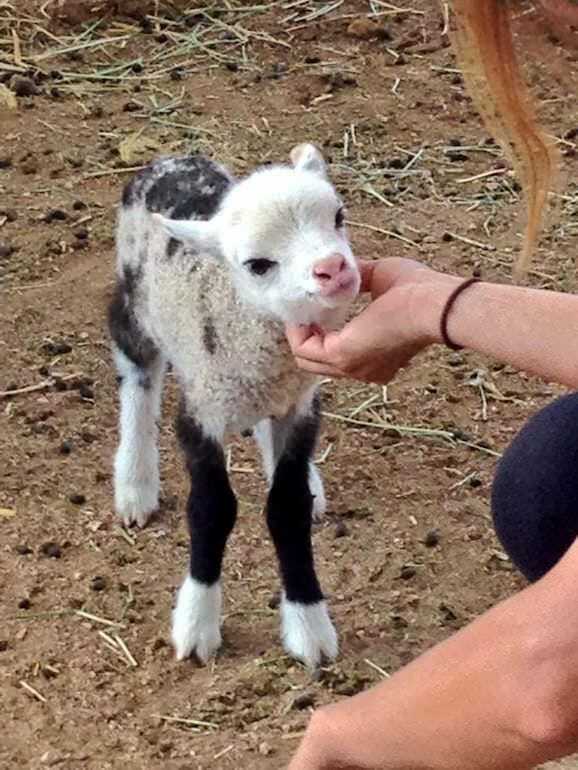 A mix between a sheep and goat is one of the most rare hybrid animal, as most of them die as embryos or come out stillborn. It is just as cute and fluffy but does portray some characteristics of both animals. It has a woolen, thick sheepskin and an elongated face, exactly like a goat’s. There have been several official and successful birth stories of geep from around the world, but it’s still not a common sight to see. It sounds pretty cute, something that a three year old would pronounce, but a wholphin does exist. 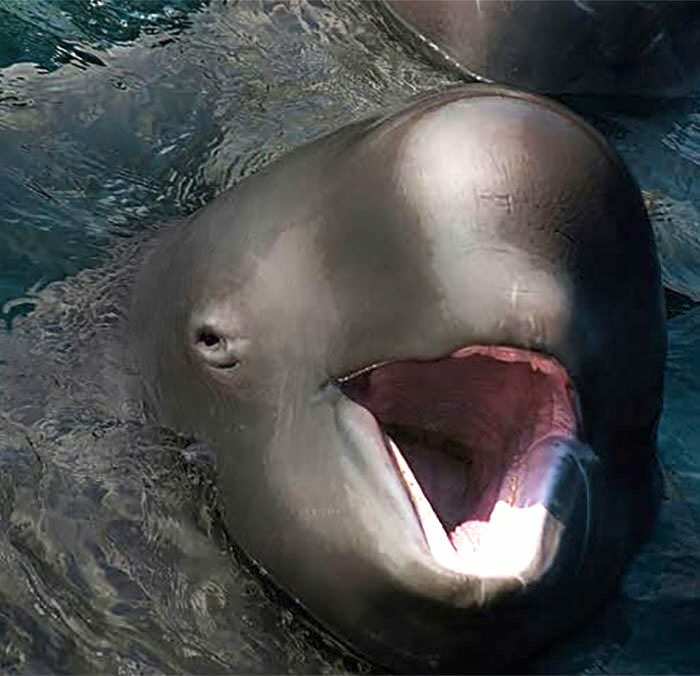 It’s a cross between a false killer whale and a bottlenose dolphin. Though both reproducers come from the same ‘oceanic dolphin’ family, this is a very rare hybrid. 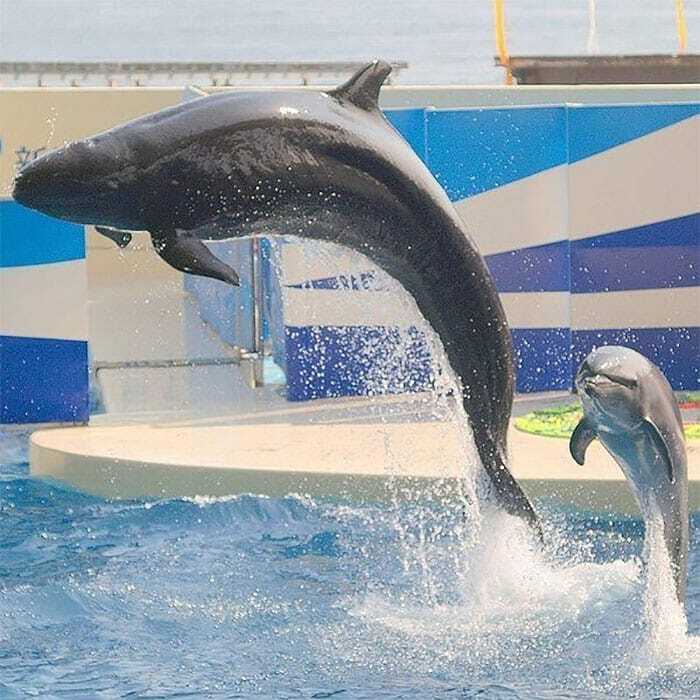 There have been few sightings of wholphins in the wild, but officially only two currently exist and they can be found at Sea Life Park in Hawaii. Fun fact: bottlenose dolphins have 88 teeth and false killer whales have 66, but the wholphin has 44. 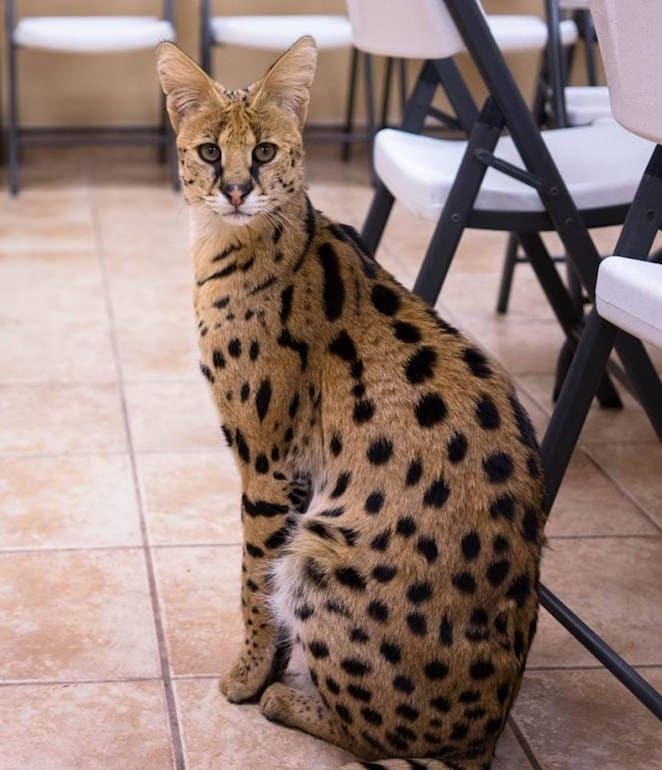 A savannah is a feline hybrid crossbreed of a serval and a domestic cat. We must say, it is pretty cute and it has become so popular amongst breeders, that it’s now a registered breed of its own, as per the International Cat Association. Typically, Savannahs are thought to be friendlier than your average domesticated cat (sorry, Garfield!) and their loyalty has been described as really intense, so much so, it has often been compared to dogs. 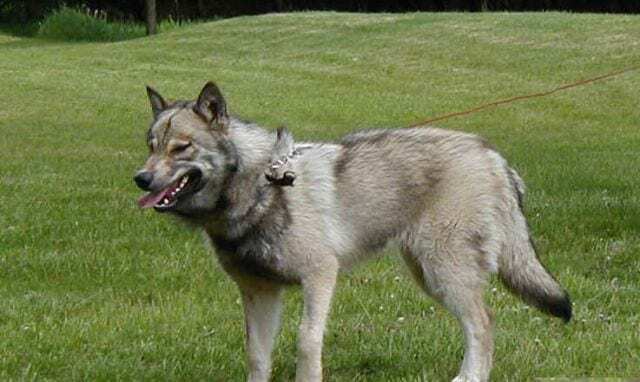 This hybrid is a result of breeding a wolf and a domesticated dog. They may look adorable, but their behavior and personality is extremely unpredictable. There is said to currently be between 300,000 and 500,000 wolfdogs in the United States, quite a large population for a hybrid. These beautiful animals are often mixed with Siberian Huskies and Alaskan Malamutes, thus giving them a even fluffier, thicker coat. Also, unlike other hybrids, these dogs are fertile and can reproduce amongst themselves. Another cat hybrid to add to our collection, this beauty is a cross between a male Jaguar and a lioness. This mix is so pleasing to the eye, you would think it was created on Photoshop: beautiful amber eyes, jaguar like physique and a dash of low opacity spots to finish off the look. 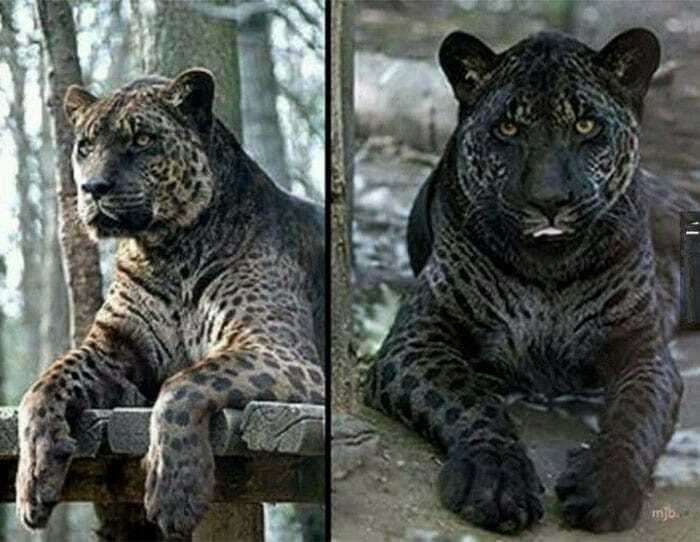 The pictured jaglions in the image are Jahzara and Tsunami, both live in the Bear Creek Wildlife Sanctuary in Ontario, Canada. So if you are ever in the area, make sure to see them for yourselves. 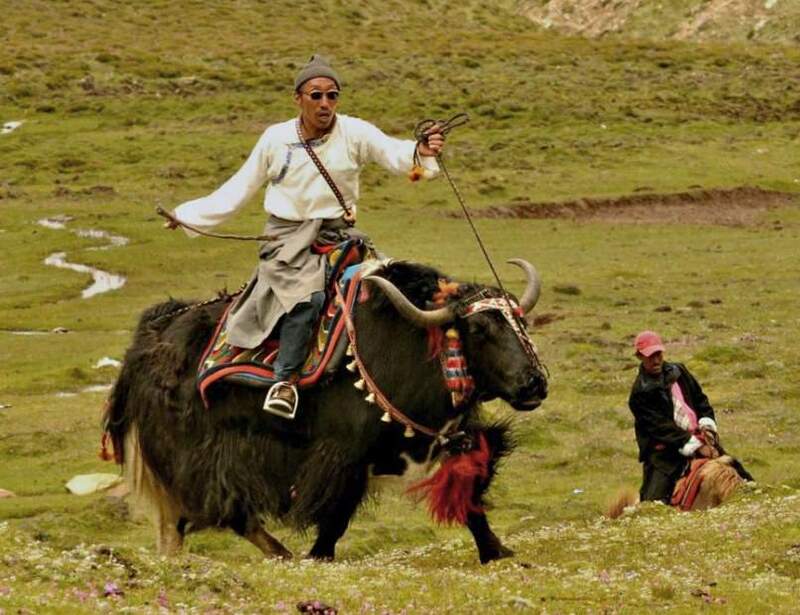 The dzo is a prized possession amongst the Tibetan and Mongolian farmers. In the western world, it is otherwise known as a yattle. This creature is a cross between a domestic Cow and a wild yak and is the most common hybrid in Asia today. Because it much bigger than your average cow or yak, they produce a lot more meat and milk, thus being way more of a convenience for food production purposes and, therefore, being more valuable. You may not see such obvious distinct features in this hybrid like you would with a liger or a zorse. 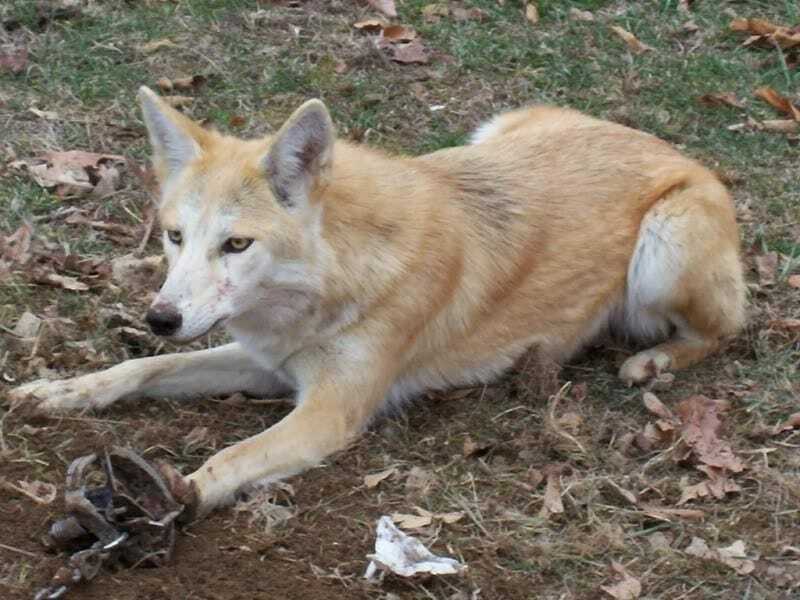 It might look like any normal coyote, but this is actually a coywolf – a cross between a coyote and a wolf. It has a beautiful fur coat with mixtures of different hues of brown. And share the same personality traits as coyotes and wolves. Within this hybrid family, there many other variations, such as the Northwestern gray wolf-coyote and the Mexican gray wolf-coyote. 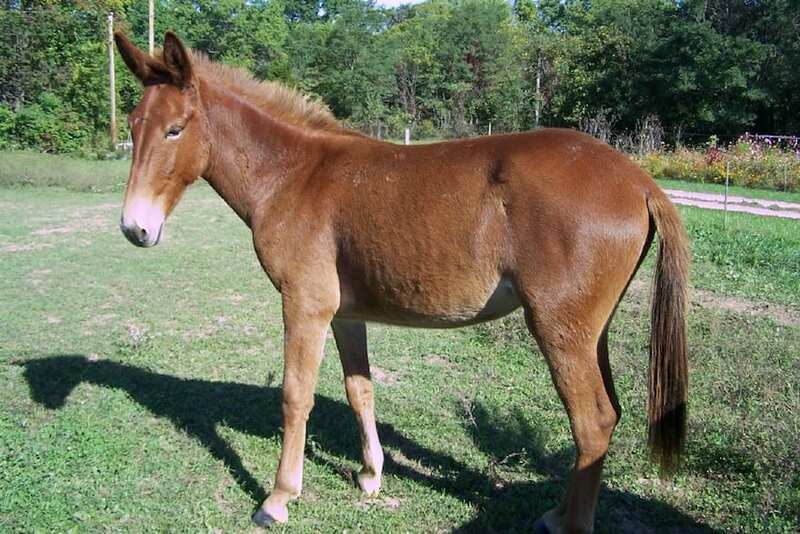 Meet the hinny – a hybrid animal mixed from a female donkey – also called a jenny – and a male horse – otherwise known as a stallion. On average they are smaller than mules (the opposite hybrid combination where a male donkey and female horse are bred), but the sizes can vary from hinny to hinny. What’s more, these animals are extremely rare because it is difficult to produce a hinny due to the different chromosomal numbers between a horse and donkey. 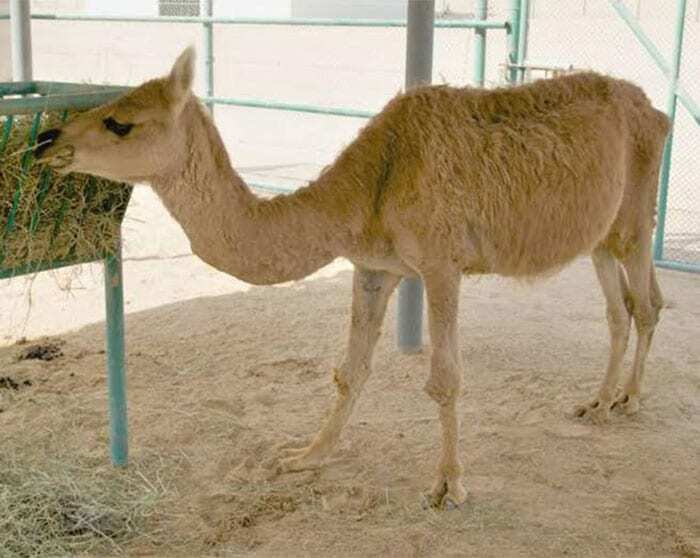 The cama (camel and llama) was first produced via artificial insemination in 1998, at the Camel Reproduction Center in Dubai. Physically, it is a bit shorter than a camel but it still possesses similar facial features and shape. This hybrid was created in order to obtain a higher production in wool and have the same behavior and strength of a camel. Until today, only five have been produced and as for the temperament, there have been mixed results with one cama behaving poorly and another more gentle and subtle. 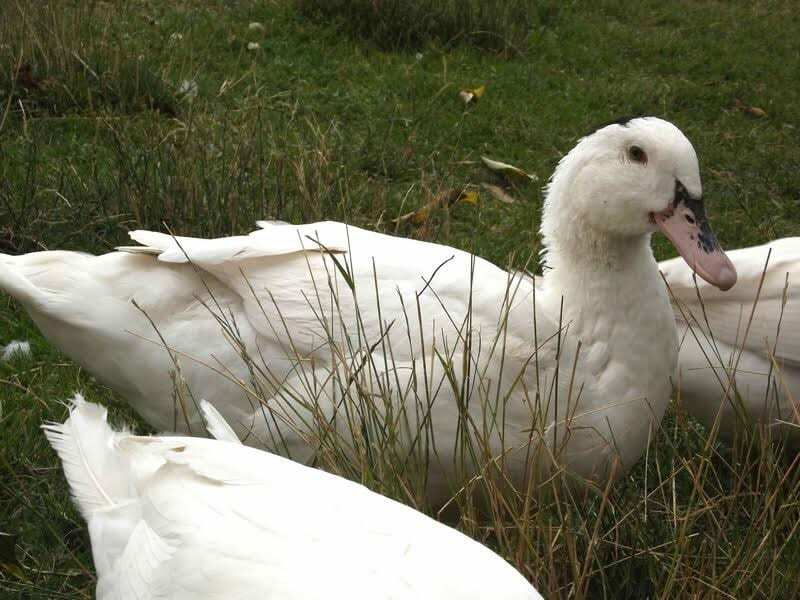 Mulards are the offspring of Muscovy and Pekin ducks and are also widely known as “mule ducks.” These majestic hybrid birds are actually sterile and can only be produced via artificial insemination. It’s important to note that these ducks are not mass produced for their cuteness (which is undeniable) but rather, for the meat industry. They are especially common in France, where they are used for foie gras, a luxury dish that consists of duck or geese liver. 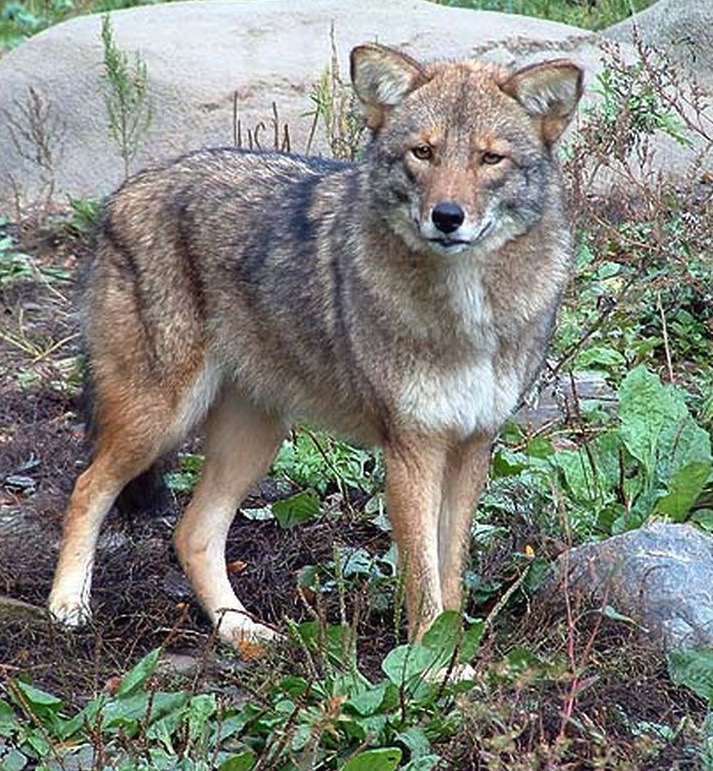 The coydog is just like the Wolfdog, but instead, this hybrid is a result of a male coyote and female domesticated dog. As the picture suggests, they have beautiful, distinct facial features. Coydogs are furry, just like a regular dog, but possess the same behavioral wildness as the coyote. They are known to be extremely intelligent and breed amongst themselves or other animals, naturally. Their adaptive nature allows them to fit in and mingle with other fellow animals. All in all, they are a great tempered hybrid. Don’t be confused with the regular mule from the donkey and horse family, this is actually bird and is an interesting cross between a canary and a European goldfinch. Their presence goes back to the Victorian era, when they served as cage birds and are thought to sing the most spectacular bird songs. Today, they are not as common, but are bred and kept by aviculturists. Surprisingly, mule birds are infertile even though are are pretty common. 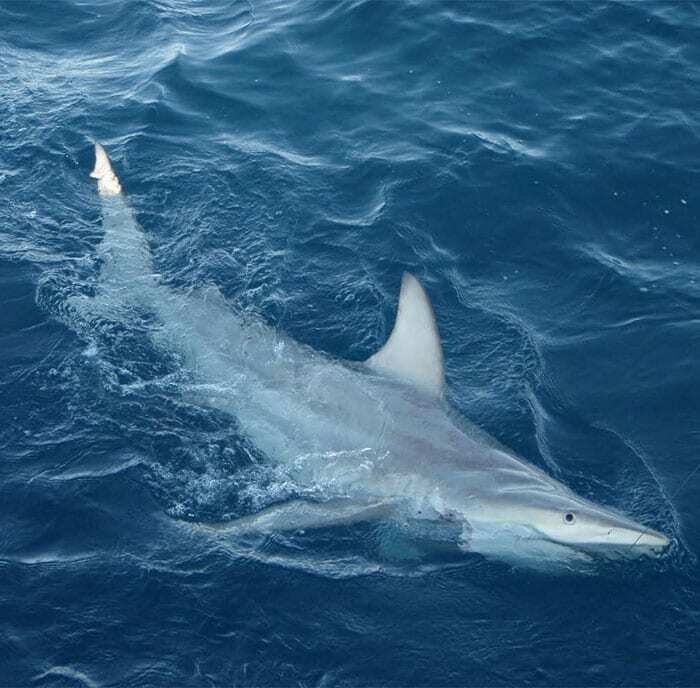 Hailing from the deep blue oceans of northern and eastern Australia, is the blacktip shark. This creature still looks just as deadly and ferocious as ever, but it is an interesting mix of the Australian blacktip and common blacktip shark. This is actually natural mix, meaning no human or third party insemination took place and is a relatively recent discovery amongst marine biologists. Further testing and examinations still need to take place, but this is the first official shark hybrid and an animal you wouldn’t want to cross paths with. Now for something friendlier looking: these playful narlugas are a combination of beluga and narwhal whales. Back in the 80’s, a washed up skull was discovered in Greenland and upon further inspection, it had physical similarities to both wales. This was the first official discovery, but there have been many more. Narlugas are conceived naturally since they derive from the same family of whales, specifically the monodontidae whales. Thus, crossbreeding is not rare and also, not a big surprise either. 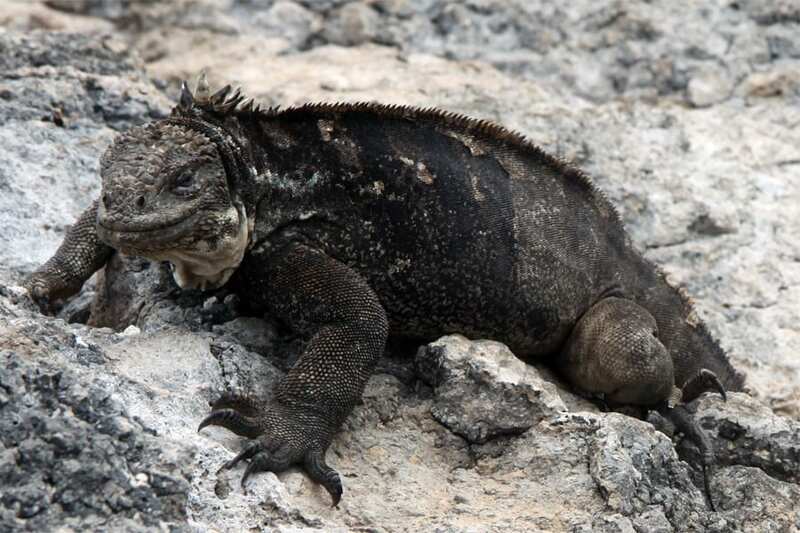 Hybrid iguanas are found at the beautiful and indigenous Galapagos islands – they are part male marine iguana and part female land iguana. As a result, they have distinct features of white speckles found near the head and a darker shade across the whole body. Only 20 have been found since 2003 and they all were conceived naturally. As a hybrid, they adapt to both land and water conditions thanks to their special sharp claws, making them able to climb up cacti for food and also indulge in seaweed found underwater. 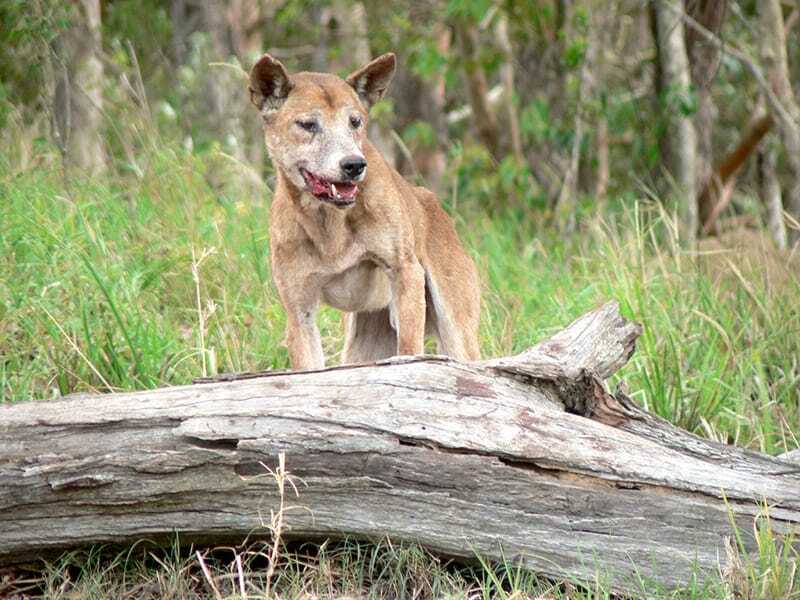 Commonly found in Australia, a dingo-dog derives from crossing a dingo and a domestic dog. This breed should not be mistaken with the actual “pure” dingo, though. Because of rapid hybridization dingo populations are decreasing. You can find that the hybrid dingos come in all sorts of shapes, sizes, and colors with each dog unique in its appearance. This is one good way of distinguishing them with the actual pure dingo that have one uniform color of a ginger hue and white feet. 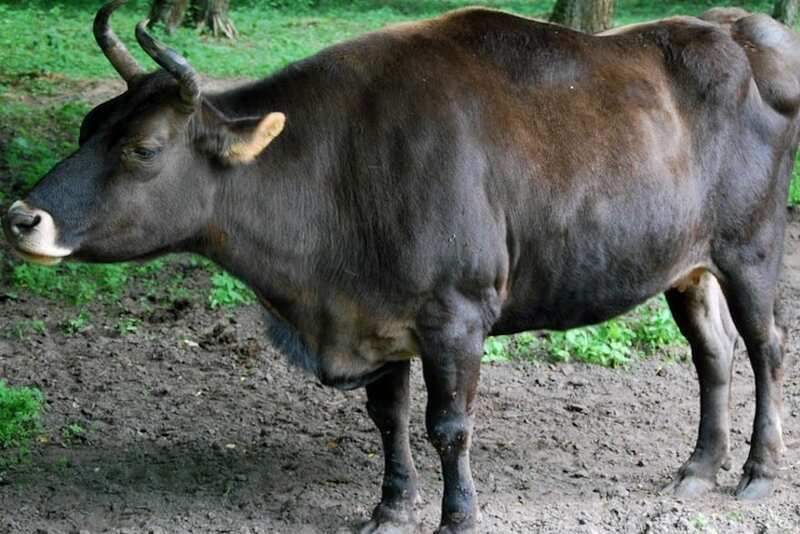 You’ve seen the beefalo – now meet the Żubroń, which is the hybrid of a cow with a European bison. The animal was first bred experimentally in Poland, and its name was selected as part of a contest organized by a Polish magazine. Like their American cousins, they’re extremely large, heavy animals, with males capable of weighing as much as 2,600 pounds. Unlike beefalos, however, they much more closely resemble their bison ancestors as they have dark, shaggy coats. Originally bred to replace cows, the project was deemed a failure. This animal is the product of a union between two closely related felines – a bobcat and a Canadian lynx. Initially thought to be nothing but a freak of nature, several more blynx sightings convinced scientists that not only does the hybrid exist, but that its members weren’t sterile, as is often the case. The blynx is similar in size to both its forebearers, with its ears being black-tipped like its lynx parent. 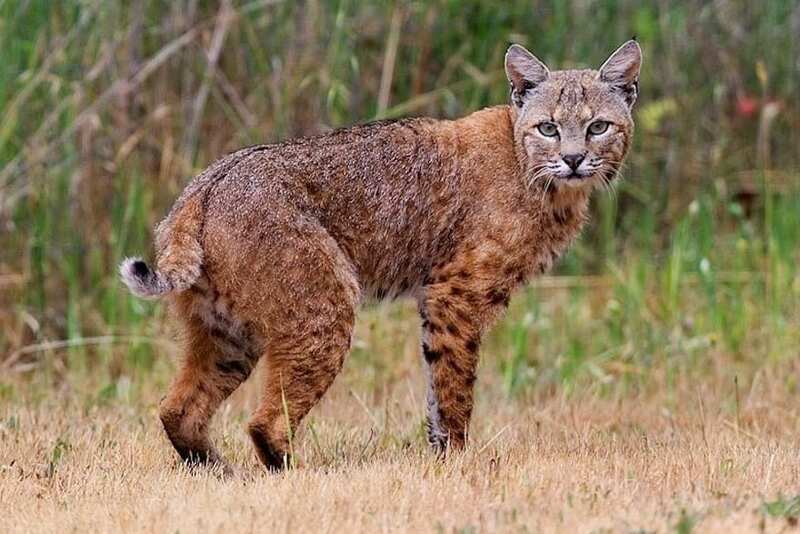 Its face, however, is more like a bobcat’s, and it has a short tail or lacks one altogether. Looking at this fish, you might be struck by how attractive it is, but you certainly won’t be able to guess the amount of controversy it aroused when it was first introduced. 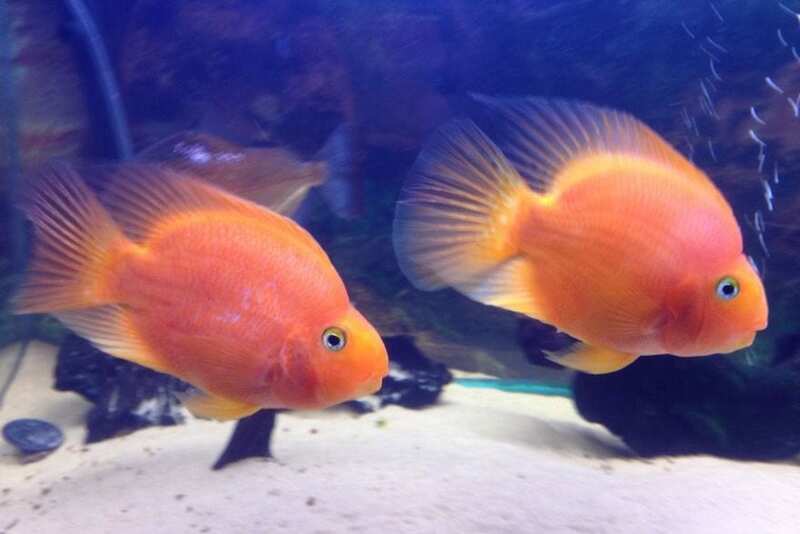 The crossbreed of the Midas cichlid with a redhead cichlid, it was created in Taiwan in the mid-eighties. The species was so controversial because it was susceptible to numerous genetic defects, including its beak-like mouth that can’t completely close, lending it its name. Nevertheless, the blood parrot is a beautiful fish, usually orange but also red or yellow. The caraval is a strange looking animal. It’s a cross between a male caracal cat and female serval cat, which somehow produces a cat whose head looks way too small for its body. The opposite animal – combining a male serval with a female caracal – is also possible, producing a servical. Servicals were actually made by mistake when the animals were kept together at a Los Angeles zoo, and made several kittens with their mom’s elongated black-tipped ears and their dad’s spots. When they’re bred, it’s to be sold as pets. 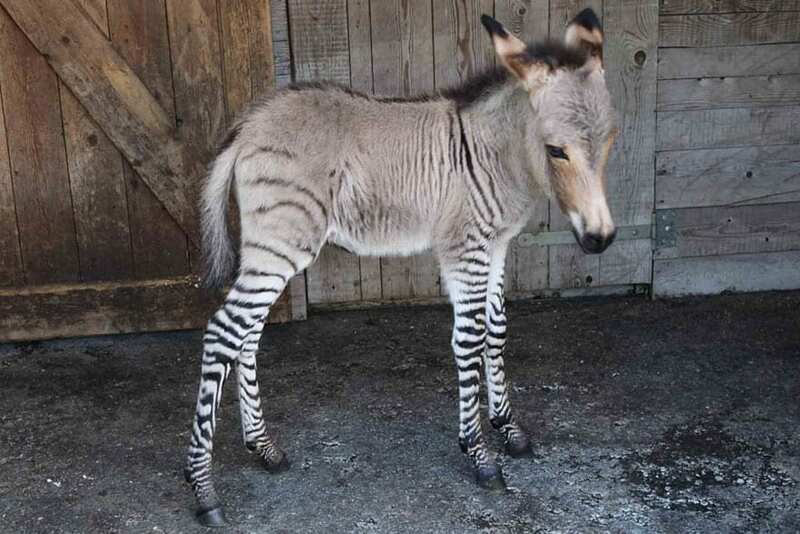 The zonkey is the offspring of a male zebra and a female donkey, while the reverse – male donkey with female zebra – creates a zedonk. While most of these animals intermingled in zoos and other man-controlled environments, the hybrid also rarely occurs naturally in places zebras and donkeys live side by side. Examining their appearance, there’s no mistaking their donkey ancestry, while their zebra lineage is revealed by the zebras’ unique striped fur. Make no mistake, however: their temperament is more zebra than donkey, and they may be aggressive and unruly. 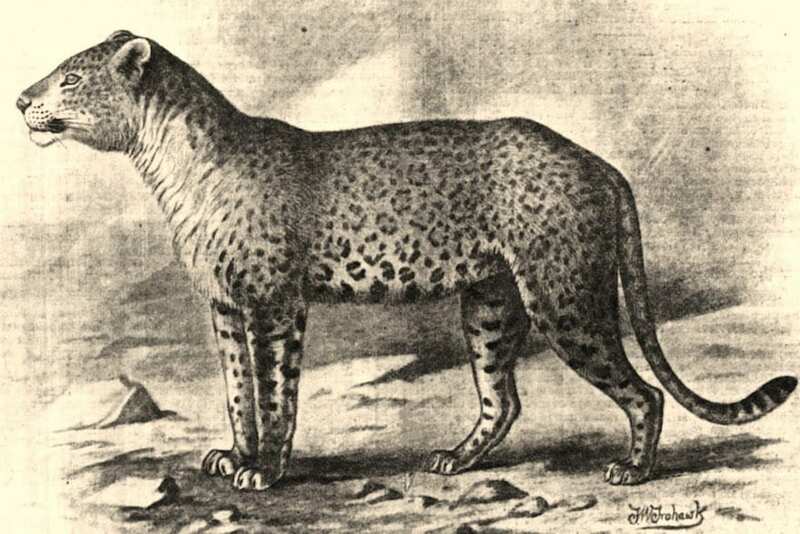 This one’s a hybrid of a puma – or cougar – and a leopard. 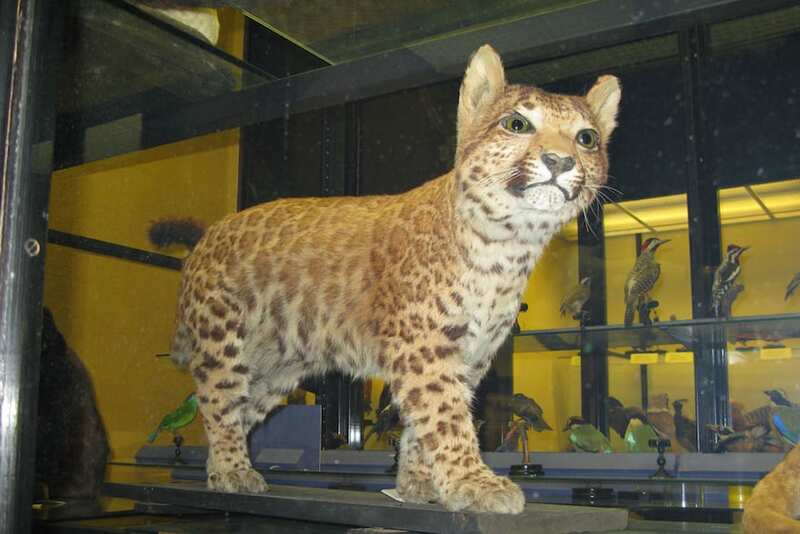 Interestingly, while the liger is an offspring that’s considerably bigger than both its parents, the pumapard goes the other way, as most of the specimens exhibit dwarfism and are half the size of either parent. They were first bred in Chicago in the late 19th century, and became a global phenomenon and status symbol for the jet-set. Pumapards have the long bodies of pumas and the spots – known as rosettes – of leopards, although they’re usually faded. 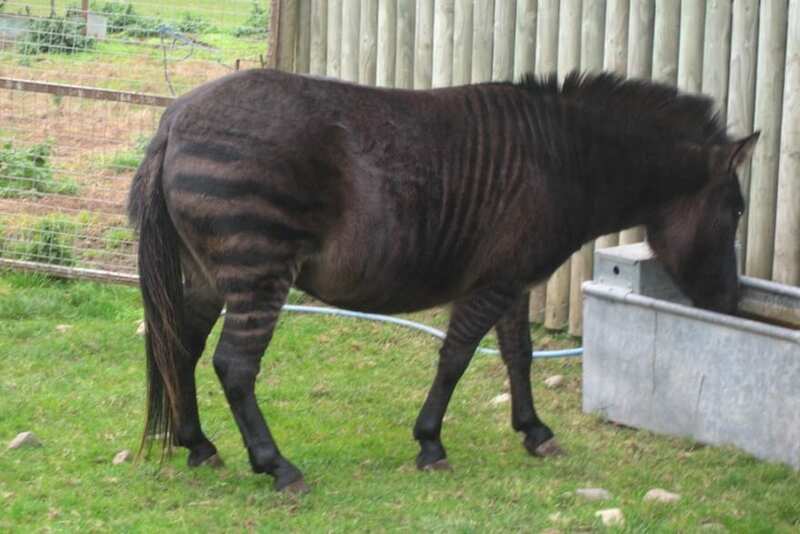 It seems unlikely, but the zetland is the product of a male zebra mating with a female Shetland pony. The physics of the whole thing kind of boggle the mind. And if this list is any indication, zebras sure seem to get around. So much so, in fact, that there’s a term for a zebra crossed with another animal – a zebroid. This particular zebroid, the zetland, has the short, squat legs of its mother and the familiar stripes of its dad, often just barely visible on its dark coat. 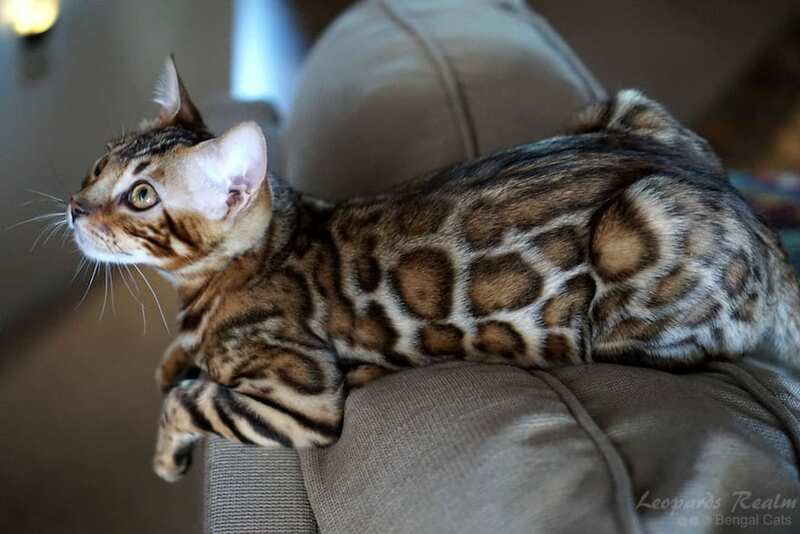 A Bengal cat is a type of domesticated cat created through the meticulous process of selective breeding of the hybrids of domestic cats with the wild Asian leopard cats, found throughout Asia. As their name implies, these cats were first bred in India. 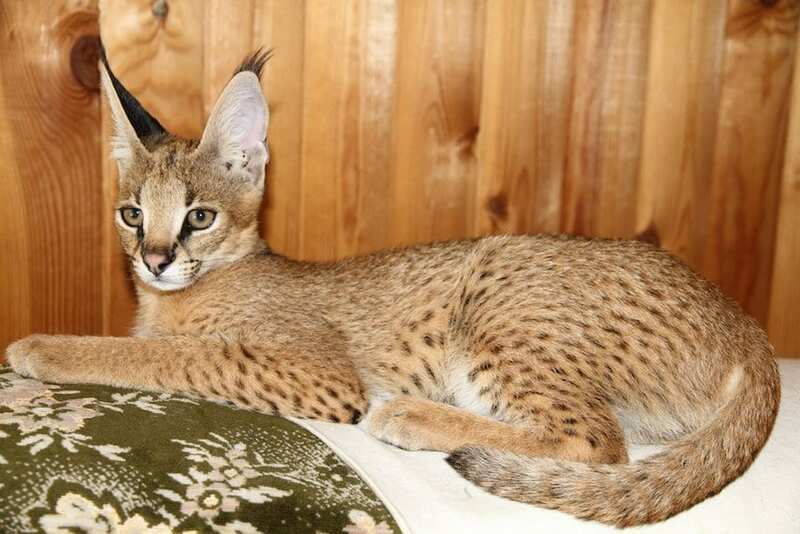 What’s unusual about them, though, is that while they look much like the long bodies and spots of their wilder cousins – such as leopards and ocelots – they have the calm, gentle disposition of your average tabby, making them fantastic pets. This animal was intentionally created in England to resemble an animal that has long since been extinct, in what’s known in professional circles as “backbreeding.” The Iron Age pig is the simple marriage of a domesticated female pig, or sow, with a wild boar, creating a very large animal supposedly reminiscent of pigs’ ancient ancestors, as shown in artwork from the time period. Apart from being cool, they’re mostly used for specialty meat markets, mostly around Europe. 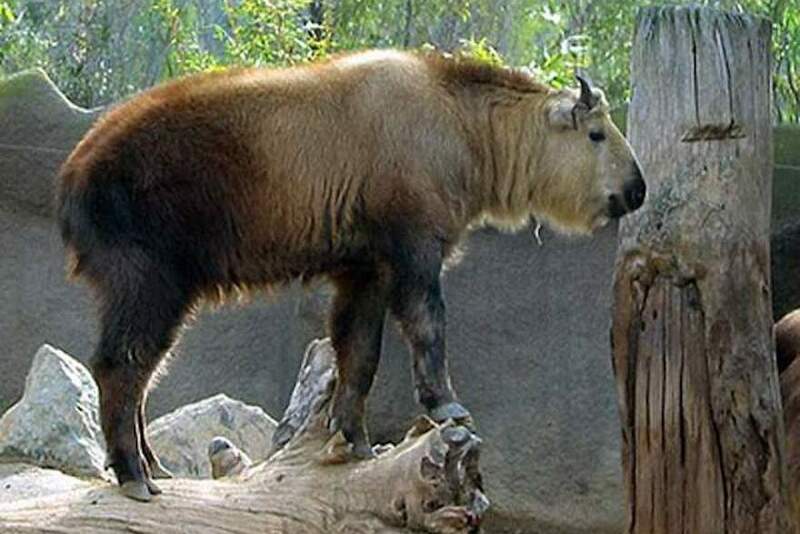 Here we have a cross between a yak and an American bison, known in the U.S. as “buffalo,” hence the name yakalo. The two species never bumped into each other in the wild, naturally, and were bred by scientists starting in the 1920s, as part of experiments on hybridization. While sometimes the breeding was done with pure bisons, other times beefalos – or cattle-buffalo hybrids – were used. The experiments, in any case, weren’t successful and were discontinued. Appearance-wise, their heads resemble bisons while their bodies are an odd bison-yak mix. Another domesticated cat-wild cat hybrid, the chausie is a combination of your average puss with a jungle cat, whose scientific name is felis chaus, hence chausie’s name. It may well be able to trace its roots to Ancient Egypt, where cats were revered and even mummified. As the jungle cat is native to the Nile River Delta, that may have been the place where the two species first intermixed. 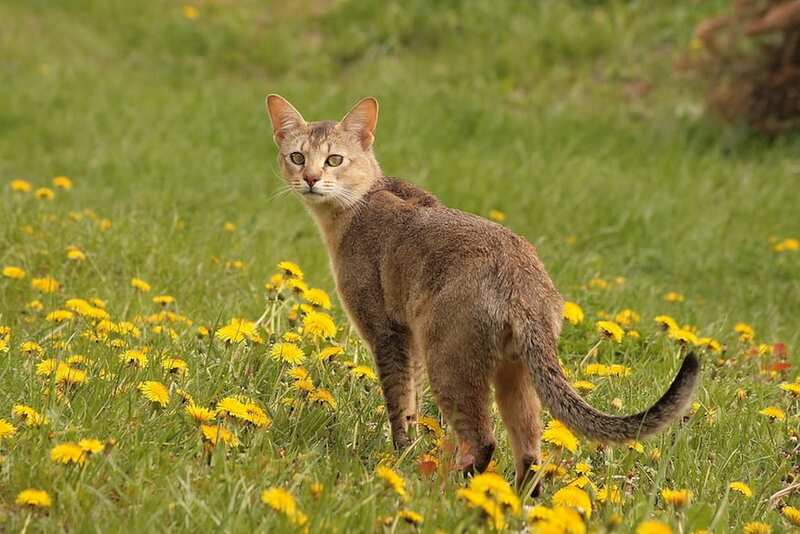 The modern-day chausie was bred starting in the 1990s as part of a dedicated program, creating the large feline we know today. We’ve glossed on the classic hybrid before, but it definitely deserves its own spot. 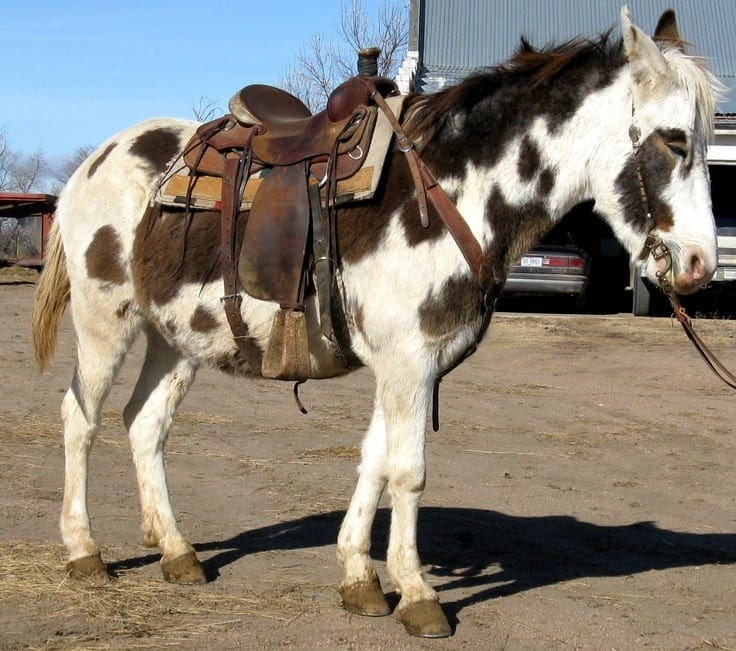 Mules are what you get when you cross a male donkey with a female horse, and are the perfect pack and work animals because they’re a mixture of both parents’ best traits. They’re more patient and have better stamina than horses, for example, while being less stubborn and smarter than donkeys. They can also vary in size, as it’s determined by their mother’s own size. Like most hybrids, male mules are infertile while females may rarely naturally conceive. The result of mixing a male jaguar with a female leopard, the jagupard is a strikingly beautiful animal, whose parents are not only closely related but also very much resemble each other, as both cats sport the rosettes so characteristic with wild cat species. Unfortunately, it seems thus far this animal hybrid has only been successfully bred in captivity – in zoos in the U.S. and Austria – as the two animals never coexist in the same area naturally – jaguars are native to the Americas and leopards to Africa and Asia. 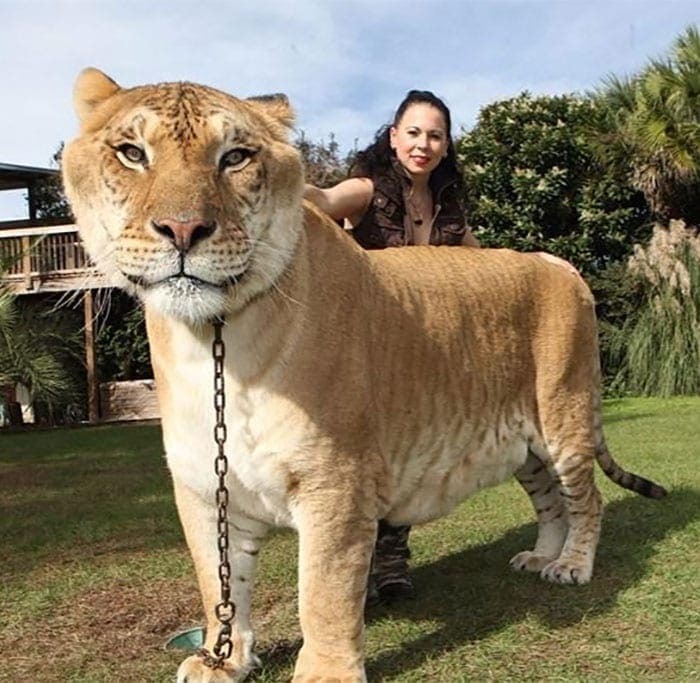 The liliger is like the “Inception” of hybrid animals, as it’s the hybrid of a hybrid – a mix between a male lion and a female ligeress, which is of course a lion mixed with a tiger. The liliger is a second generation hybrid, if you will, and the first such hybrid was born in a Munich zoo in 1943. More recently liliger cubs, pictured here, were born in a Moscow zoo, and proudly displayed their spots, despite the fact their ligress mother was striped! 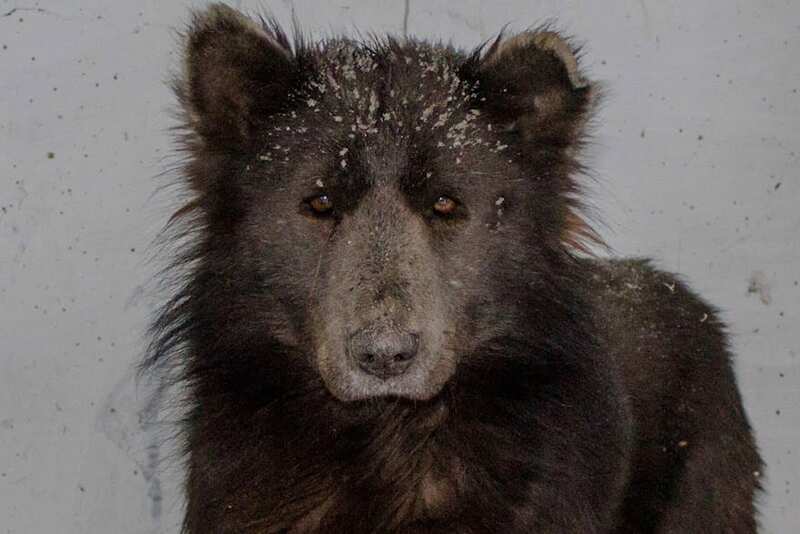 Just recently, photos of what seems to be a cross between a dog or wolf and a bear became viral, as everyone lost their mind at the possible hybrid. Looking at it, it’s not hard to see why – the animal really does seem to have a bear’s head on a canine’s body. As far as the shelter that took him in could tell, the male dog was a Chow Chow mixed with some long-nosed street dog, and his difficult life left him with a bad temperament. Interbreeding between species is, of course, impossible.